Each of us has a unique stress-tolerance quotient. 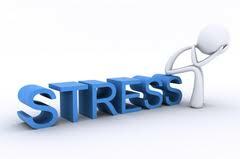 rather than attempt to banish stress from your life (is that even possible in today’s world? ), Ayurvedic healers recommend that you try and balance your stress-tolerance quotient so that you are able to manage stress instead of it taking over your life. According to ayurveda, mental distress occurs when the mind and the brain are taxed way beyond their normal ability to handle stress over a period of time. Restoring balance requires addressing your diet and lifestyle along with balance-restoring herbs and therapies. * do you often feel worried, restless or anxious? * do even small additions to your workload — one additional deadline or one extra chore — make you feel overwhelmed? * do you toss and turn in your bed at bedtime, unable to fall asleep? * do you always feel rushed; or feel that your days are too full? * do you feel frazzled and find it difficult to focus? * do you find yourself spacing out, more forgetful than normal? * do you flit from task to task but end up not completing any? * does anxiety make you breathe short and fast sometimes? For many of us, this imbalance is all too common. Vata, the ayurvedic physio-psychological factor that governs the mind, is thrown out of kilter with increased activity, movement or stimulation. Multi-tasking has become a way of life for us: grabbing a quick bite when trying to complete a project, drinking our morning beverage as we drive to work, talking on the phone while we put away the groceries. Even normally grounded persons can only go so long at a breakneck pace before they feel the effects of an imbalanced vata. Daily commutes in rush-hour traffic, jobs that come with lots of travel, chauffeuring kids from one after-school activity to another: chopped up days leave many of us feeling fragmented and disoriented. And our senses are victims to a constant stream of stimulation all day long. the result? A cluttered, tired mind, frayed nerves and a brain that is wearing out, cell by weary cell. 1. You know the rest of your day is going to be hectic, a stream of deadlines and mad dashes from here to there and back, so eeeeeease into your day with a soothing, grounding 10-minute wake-up routine. The key to success is to follow the routine faithfully every morning, whether you are at home or away. Wake up at first light, and try and do that without a strident alarm or a dj to jar you awake. Open your eyes and soak in the morning air and light. Sit up gently in bed, and take long, deep breaths for five minutes. Deep steady breathing will help you get off to a calm serene start. Stretch your arms out and above your head, then lower them gently. do this a few times. Then, and only then, get out of bed. and when you do, head to your kitchen for a large mug of hot lemon water instead of to your computer to check your e-mail. 2. Sneak some serenity breaks into your regular day with choices that pacify vata. When you can, choose silence over noise, soothing gentle music over talk radio, an evening stroll over television. Shut your office door or find a quiet spot at work or home after lunch for a few minutes of deep breathing and mental shut-off time. Silence is a powerful mental rejuvenator, therefore seek it and savor it. Meditate for fifteen minutes every morning and evening when you can, or at least once a day. Meditation quiets mental static, recharges your body and brain, enhances focus, elevates mental performance and is an excellent way to pacify vata. There are many types of meditation: find a good teacher and get started today. 3. Remember those five minutes of deep breathing you practiced upon awakening? Gradually acclimate yourself to breathing that way all the time. This may take a while, and you’ll need to remind yourself often at the beginning, But the dividends will be rich once it becomes routine: rapid shallow breaths diminish prana – life force – and tire the mind and body. As you draw in a long breath, imagine the fresh burst of prana infusing every cell in your brain with new energy and life, and as you expel stale air out, imagine the tiredness and mental clutter emptying out. Proper breathing is free and takes little effort, and it’s so important for health! 4. Woo sleep. Adequate quality sleep every night is essential to keep your mind alert, your memory keen, your attention span long and your focus laser-sharp. Diffuse the essential oil of lavender or a vata-pacifying aroma blend in your bedroom one half-hour before you plan to retire. And retire early when you can–10 pm or earlier is ideal. Your bedroom should be dark and silent, with a window open a crack for fresh air when the weather is not inclement. Drink a cup of warm milk an hour before bed (dairy or rice milk), spiced with a pinch of nutmeg if desired. Massaging your hands and feet with a small quantity of a light non-staining massage oil can be helpful. Once in bed, close your eyes and practice deep breathing for five minutes, letting go of whirling thoughts and worries and focusing your mind instead on a serene mental picture – a calm pond bathed in morning sunlight, a snow covered mountain range against a cloudless blue sky, gentle rain falling on green leaves, a deep velvety yellow rose in full bloom – as you consciously let go of vata-aggravating mental clutter, you will drift off into sleep and awake refreshed and ready for another day.